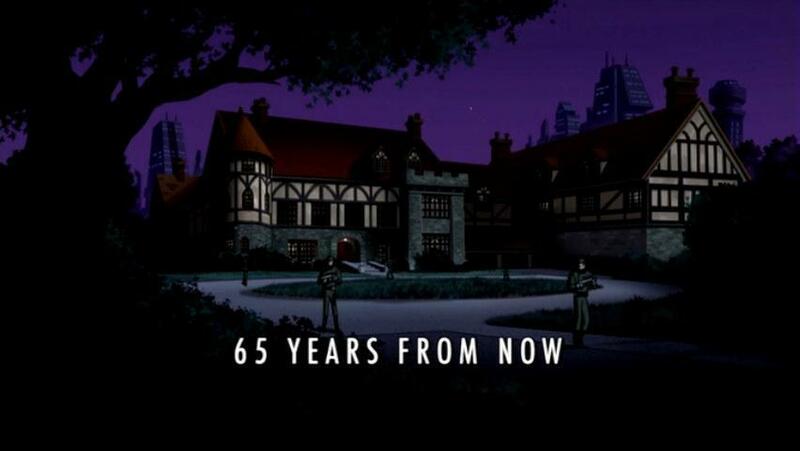 50 years in the future, the history of the Justice League is the key to Batman�s darkest secret �and his final destiny. 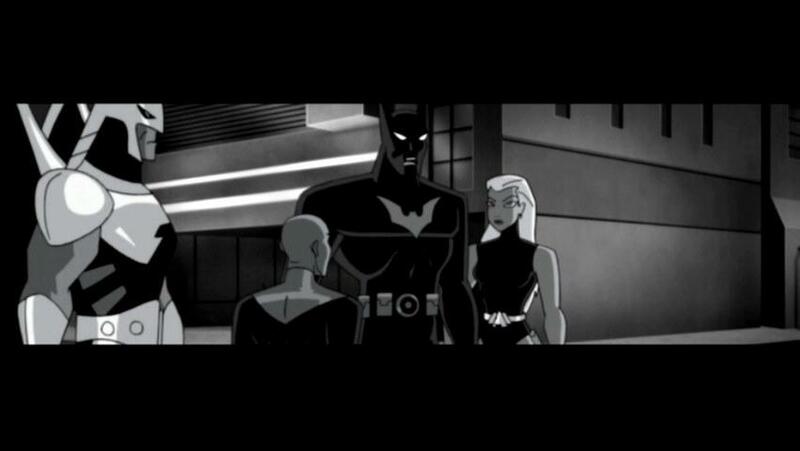 Animation Services by Dong Woo Animation Co., LTD.
Due to the epic-ness of this episode, there is both a review and Commentary. 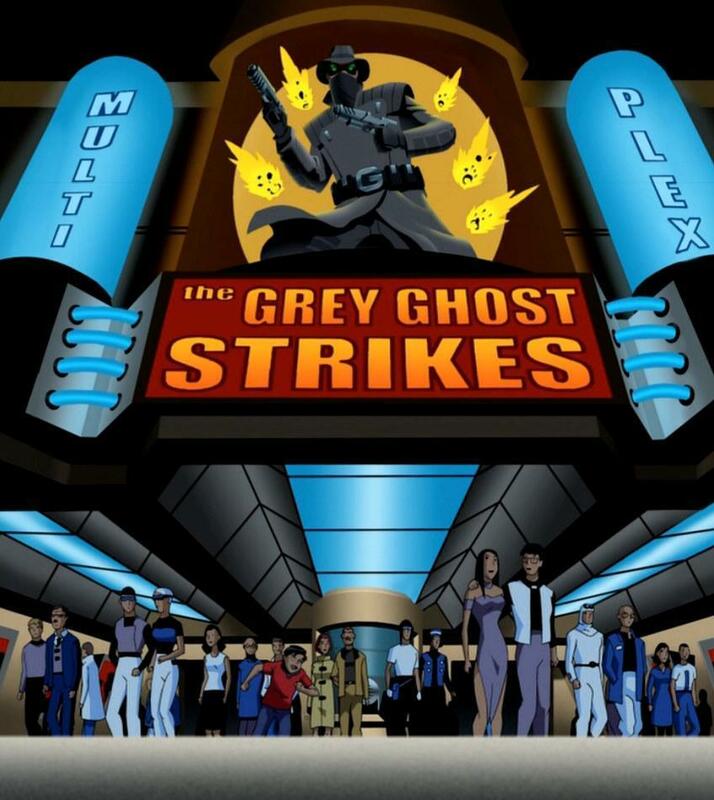 Check the review (written by Bleu Unicorn) out below and the Commentary (with Bird Boy and Bleu Unicorn) here. 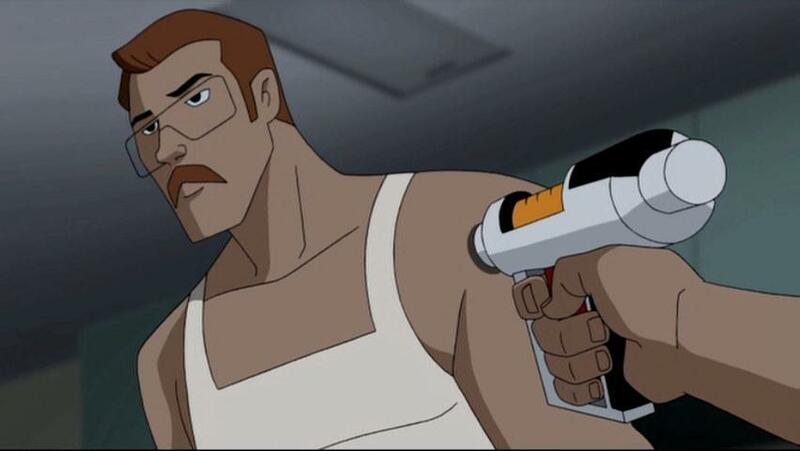 Review: Unlike the majority of JLU, the action takes a backseat to the story. 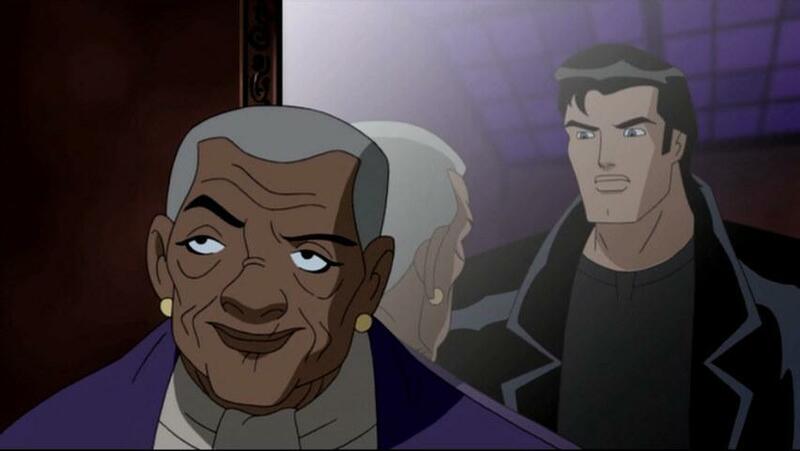 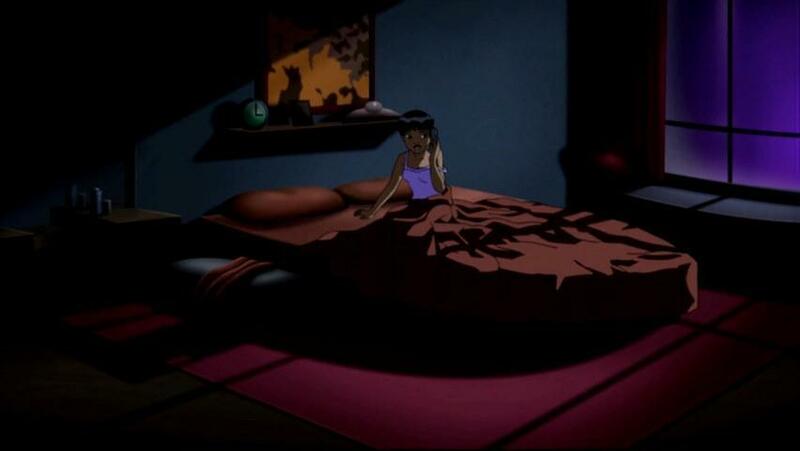 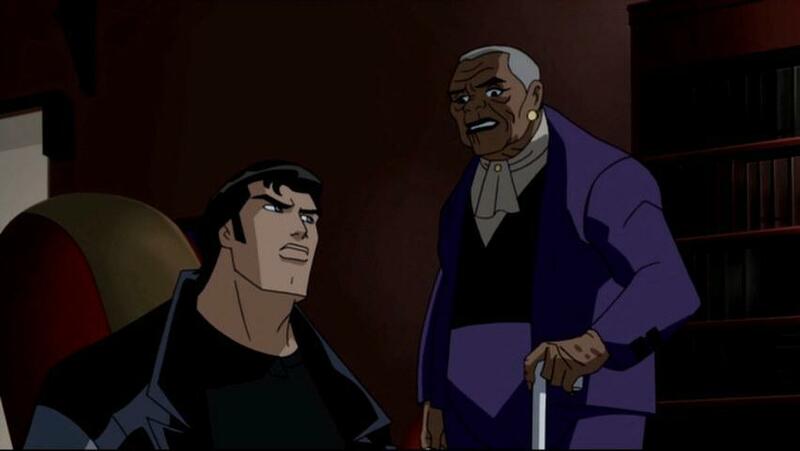 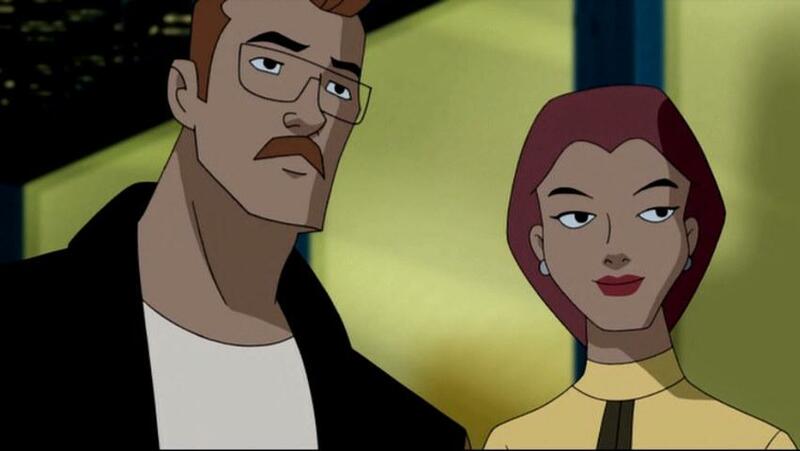 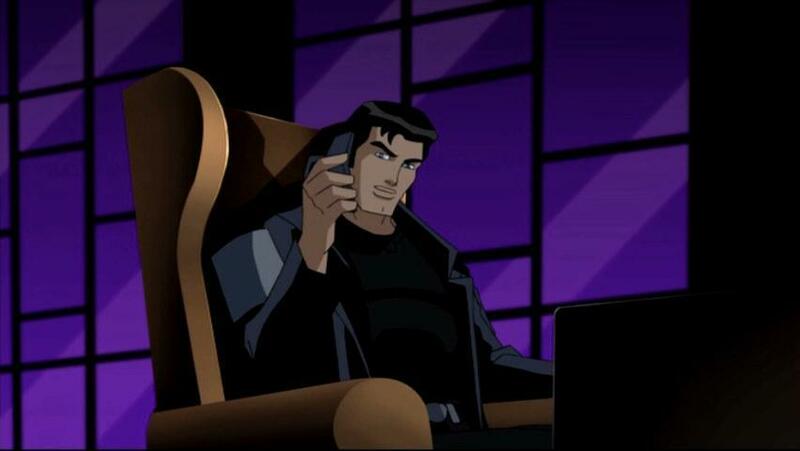 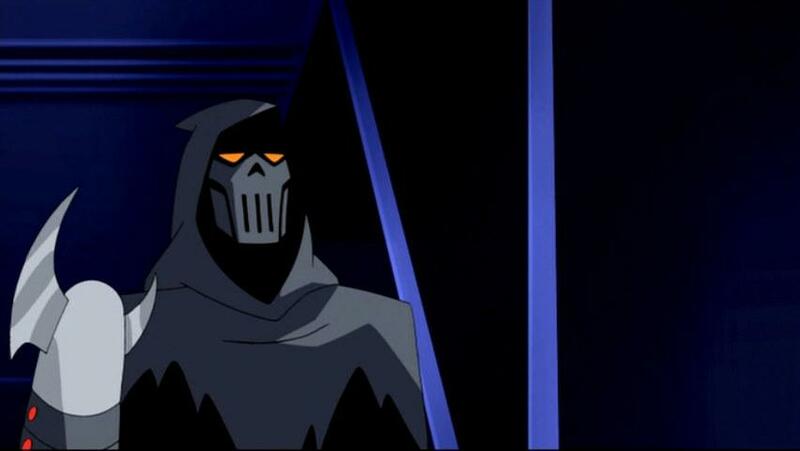 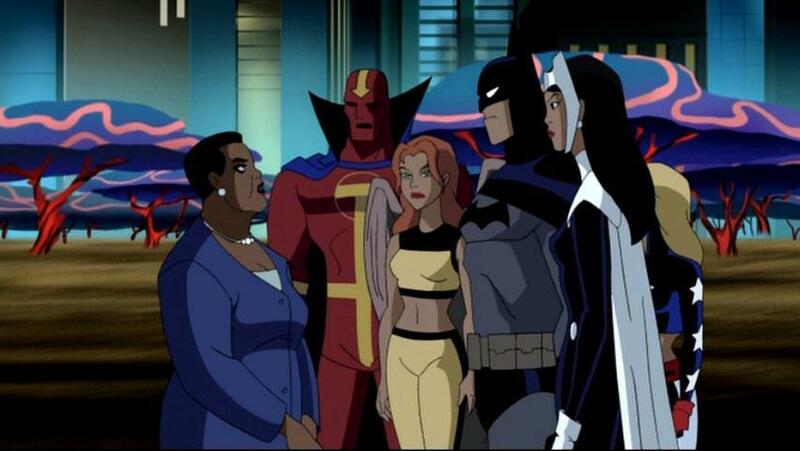 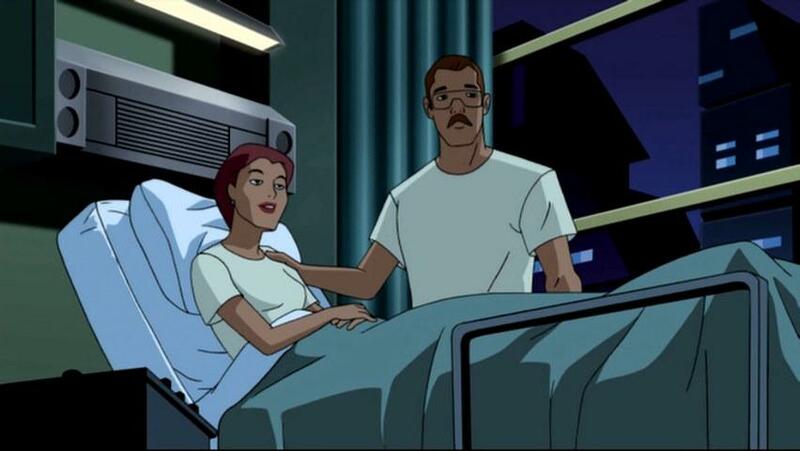 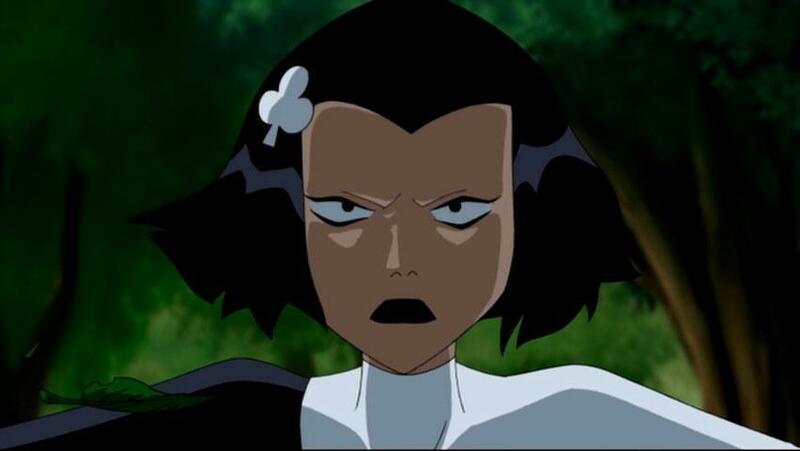 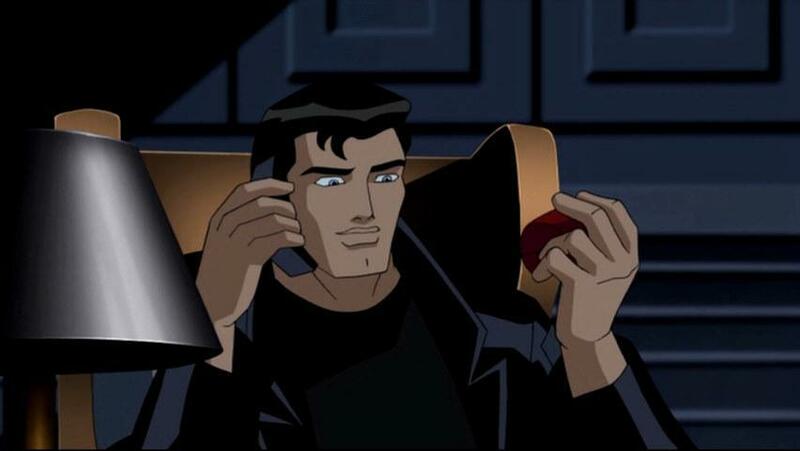 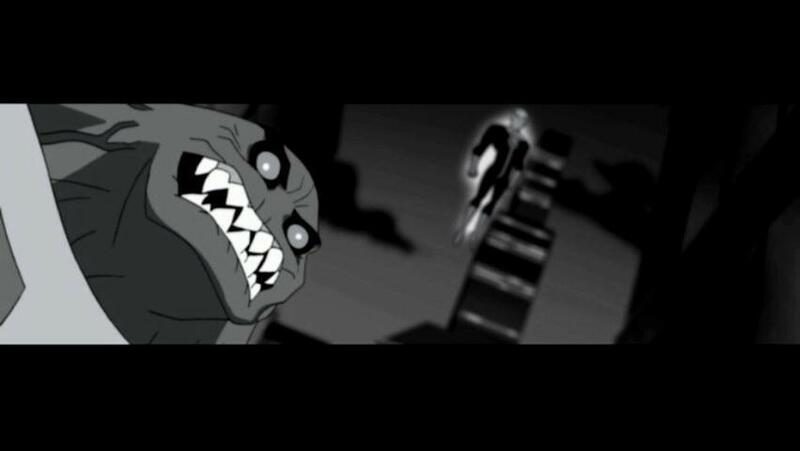 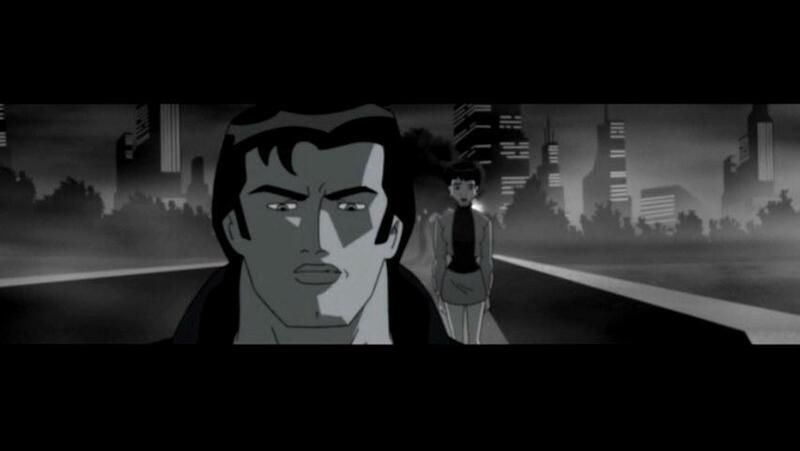 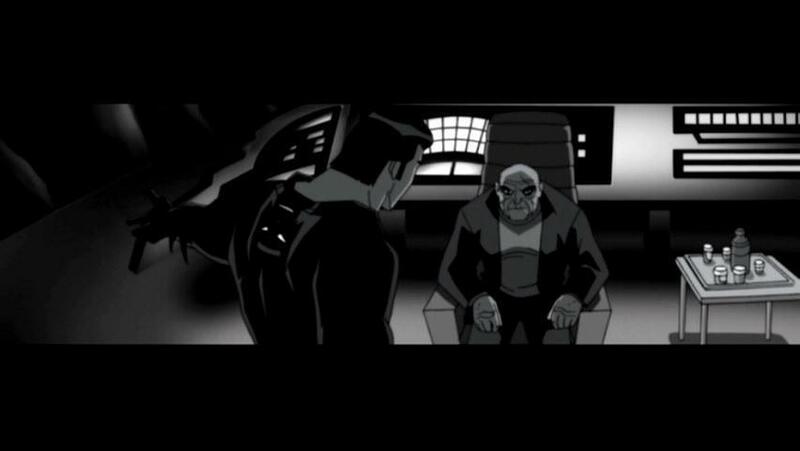 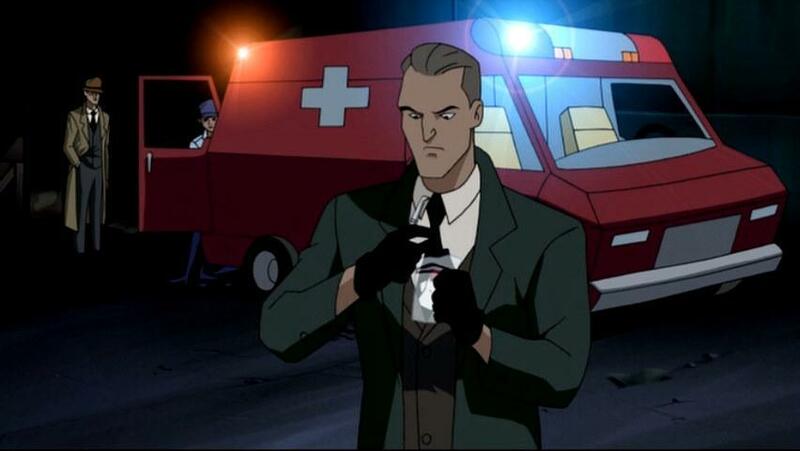 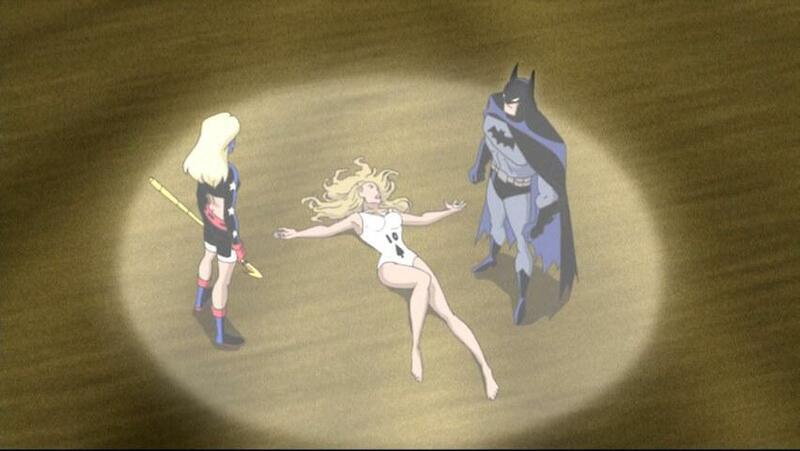 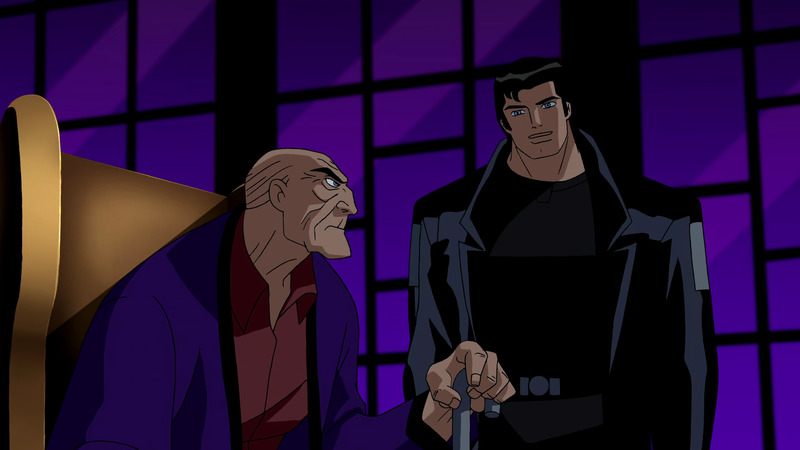 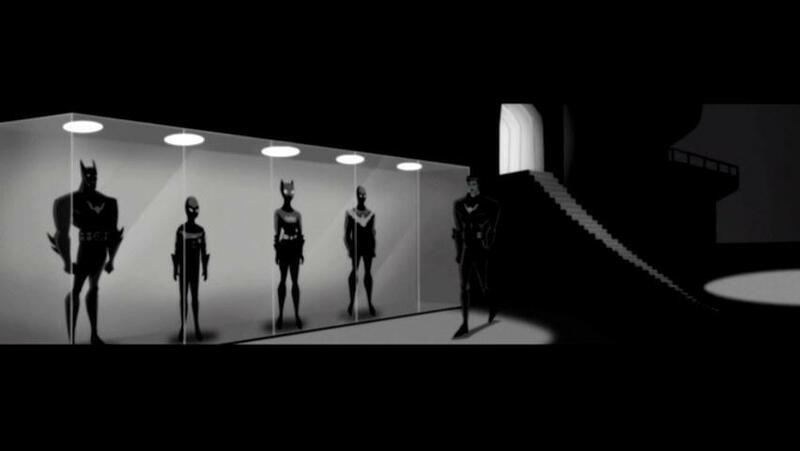 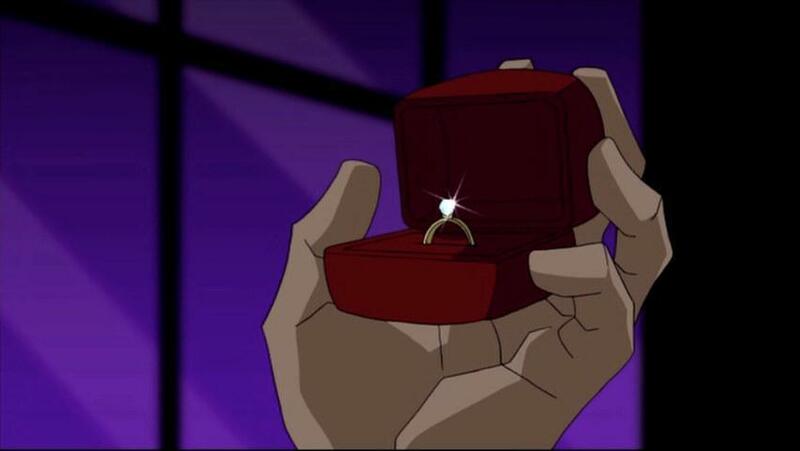 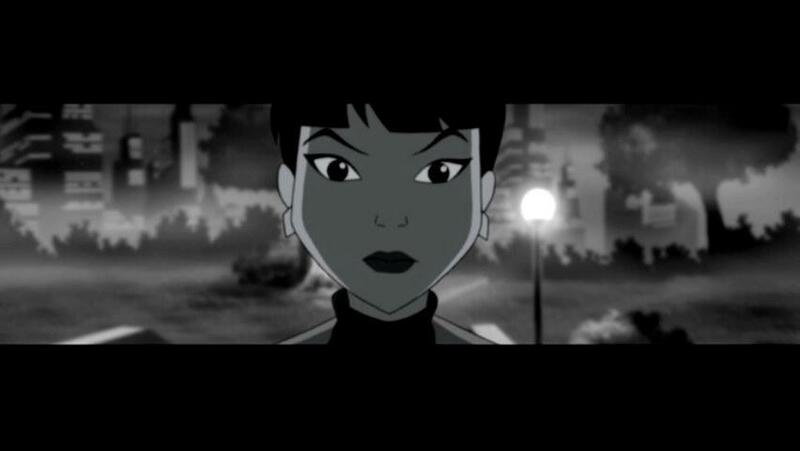 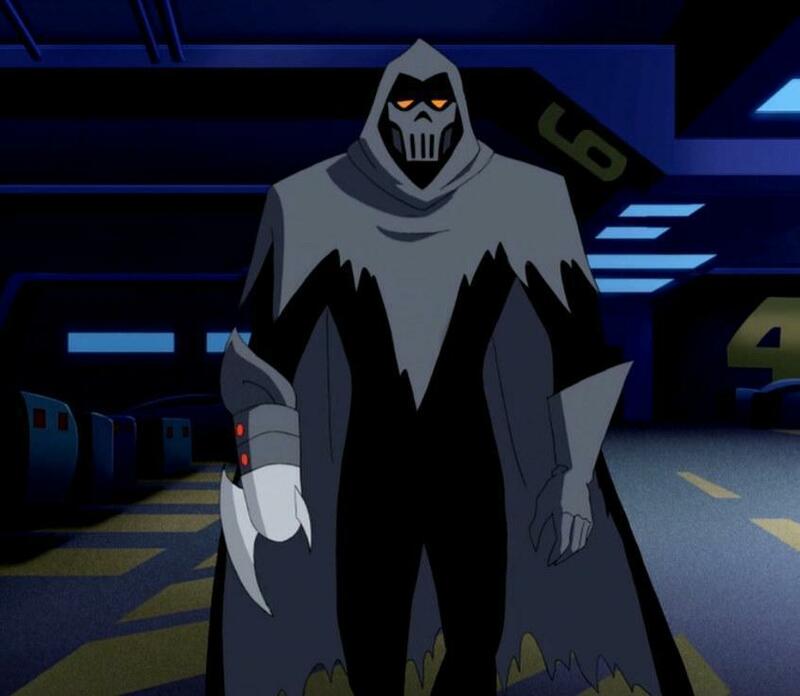 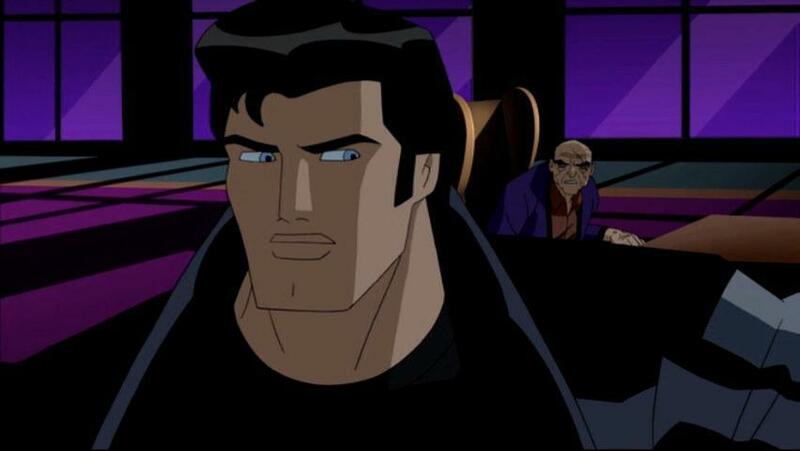 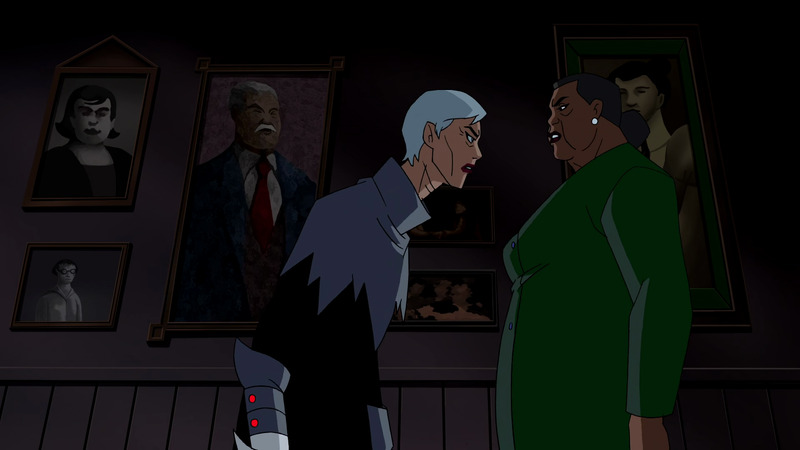 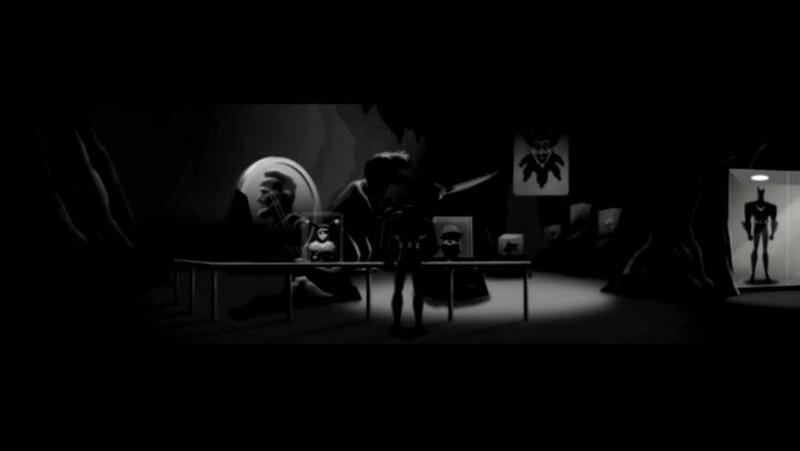 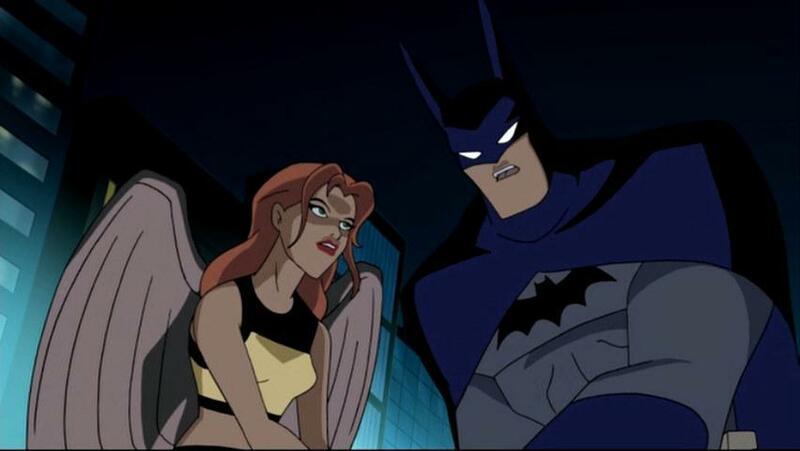 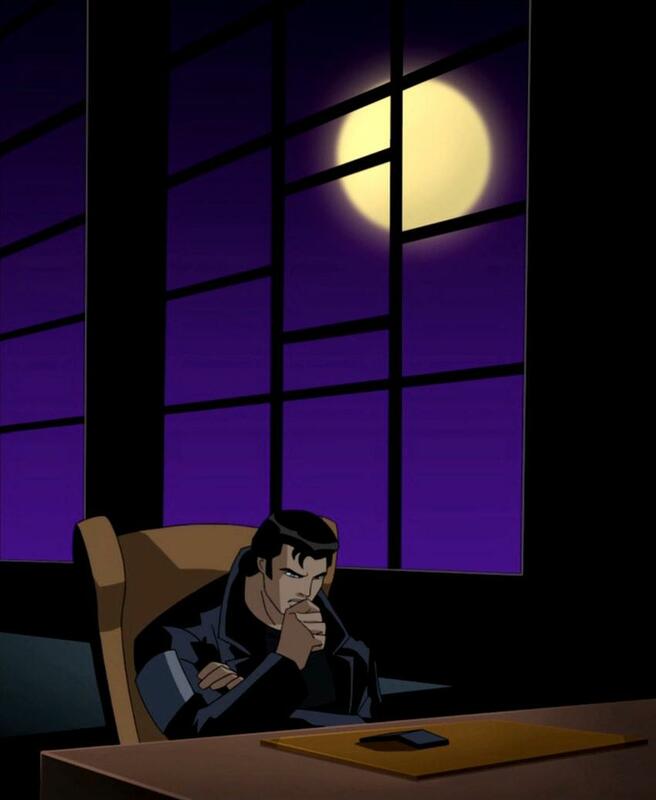 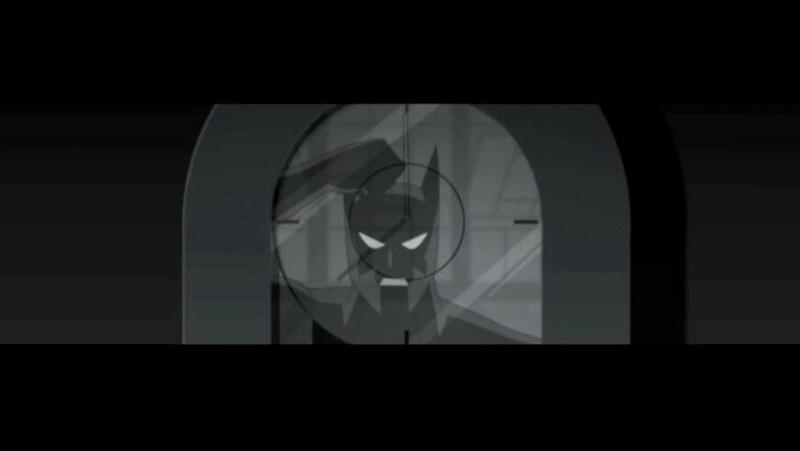 The episode follows Terry, some ten years after Batman Beyond. 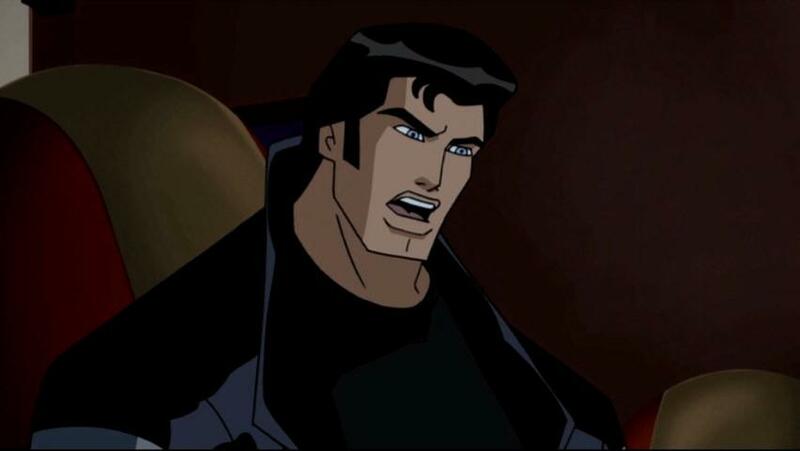 Having discovered the incredibly shocking news that he is Bruce Wayne’s son and/or clone, Terry is on an intense search for answers to all the questions Bruce won’t answer and struggling with this incredible revelation. 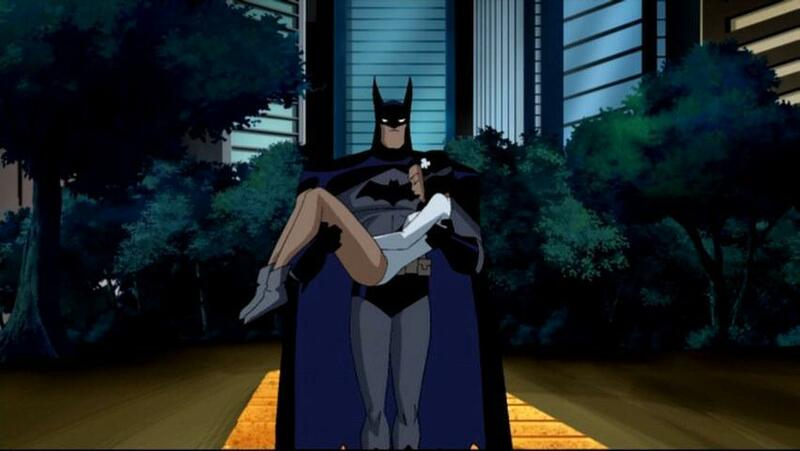 In essence, Terry is on a journey to fully embrace the mantle of Batman and this is his final step towards doing so. 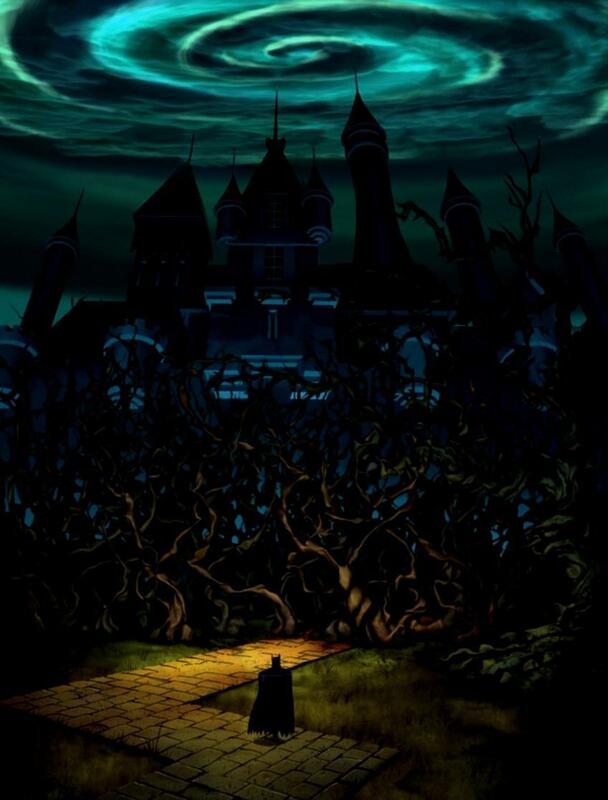 While some may argue that the entire plot of this story comes from “left field” or that it is just plain rotten, it is surely a revelation that no one could have predicted. 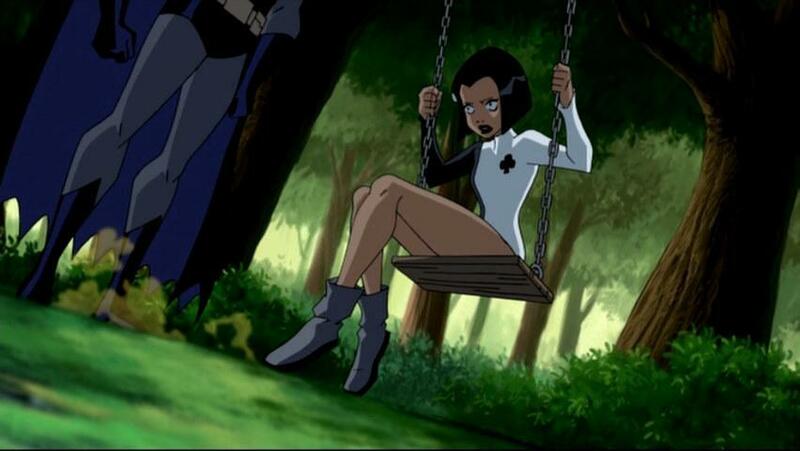 Personally, that in and of itself makes me enjoy it so much more. 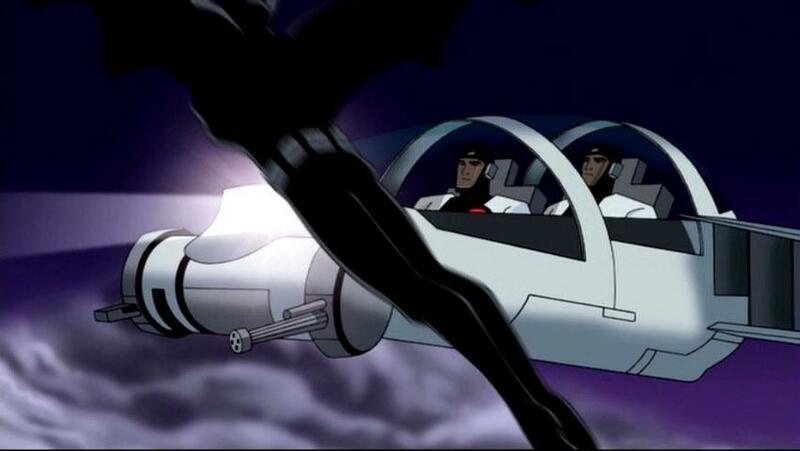 It can’t be denied, though that the various references within this episode only strengthened my personal enjoyment of it. 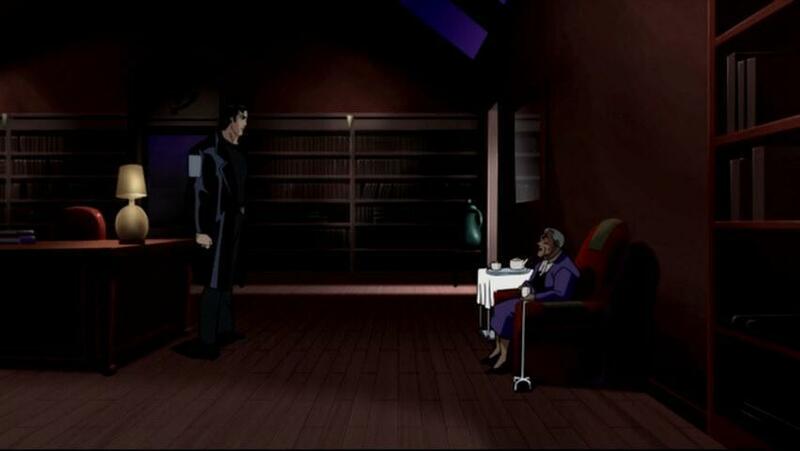 Still, I feel strongly that the story itself is accessible to even a casual viewer. 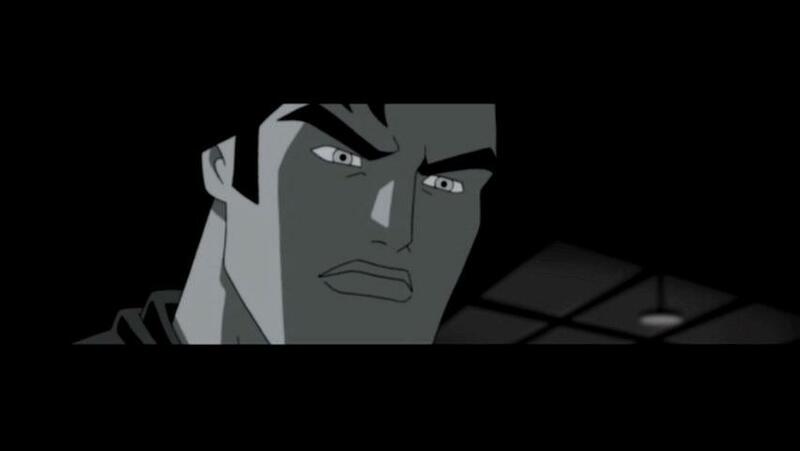 Of course, by no means do I want to diminish how awesome it was to have all those references and cameos. 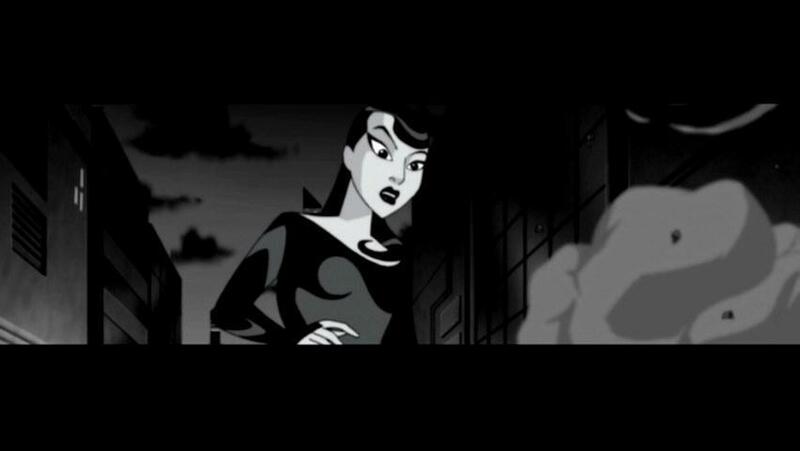 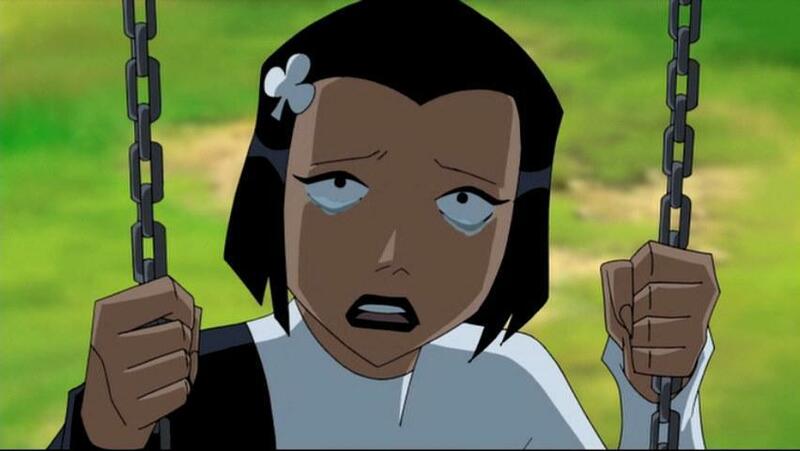 The most powerful of these is easily Ace, whose death may well be one of the most emotionally charging moments within the DCAU and leaves me wondering if Bruce named his dog after her. 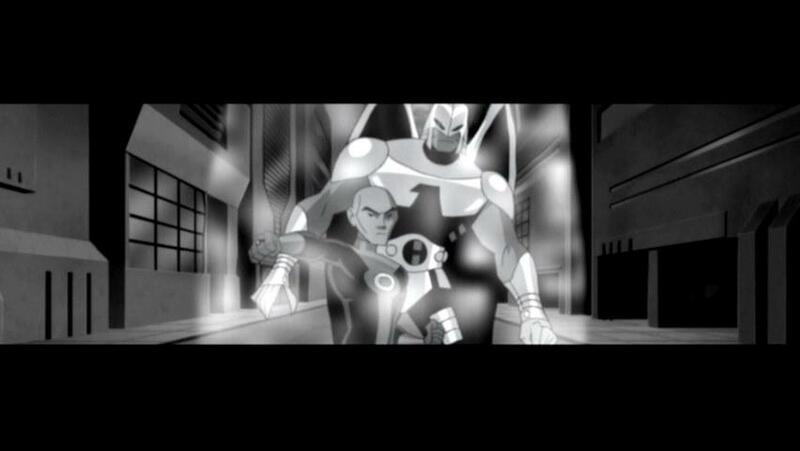 The return of Dana and the future Justice League, along with glimpses of Phantasm and Grey Ghost were not only a treat for fans, but also solidified how all these various series tie into one another. 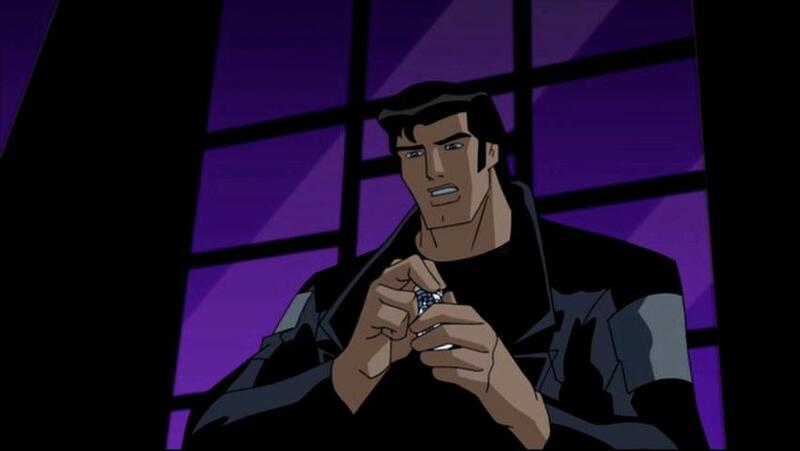 The importance of these and other cameos can and will be debated, but regardless of where you stand it’s hard to deny it was anything short of just plain…neat. 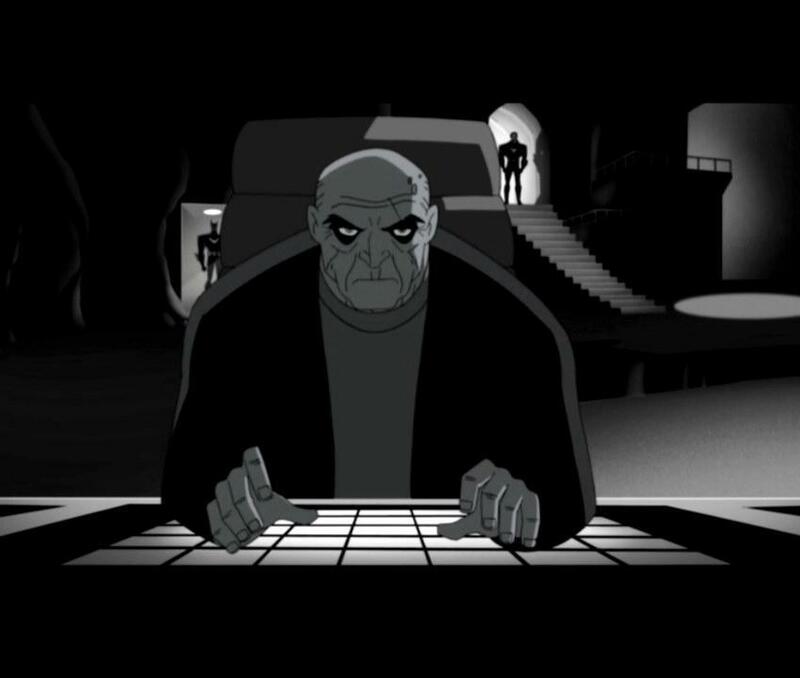 Only heightened by the accompanying voice talent that continues to blow me away; Conroy, Friedle, Tom and Walch really deserve kudos for their talent and versatility here. 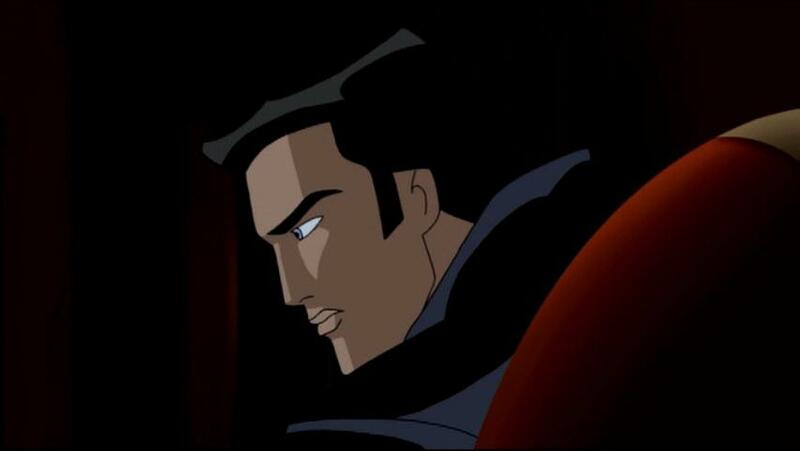 Music has always been a huge part of the DCAU experience and here it not only adds to the drama of an already arousing story, but manages to bridge yet more connections between BTAS, BB and JLU by utilizing and slightly tweaking all the old themes. 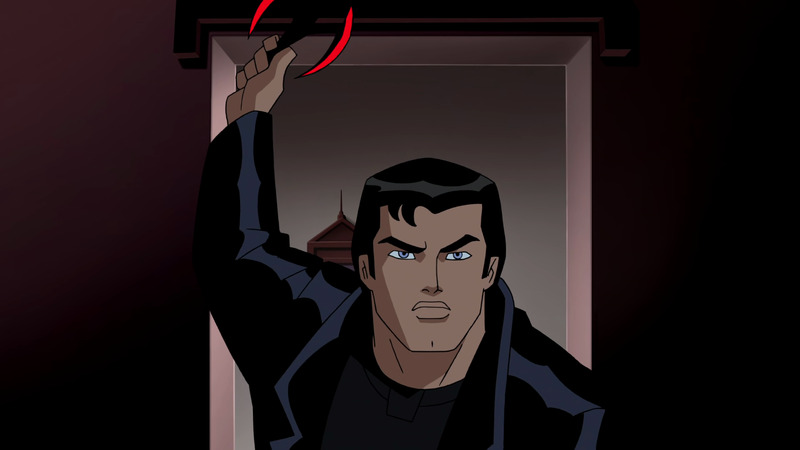 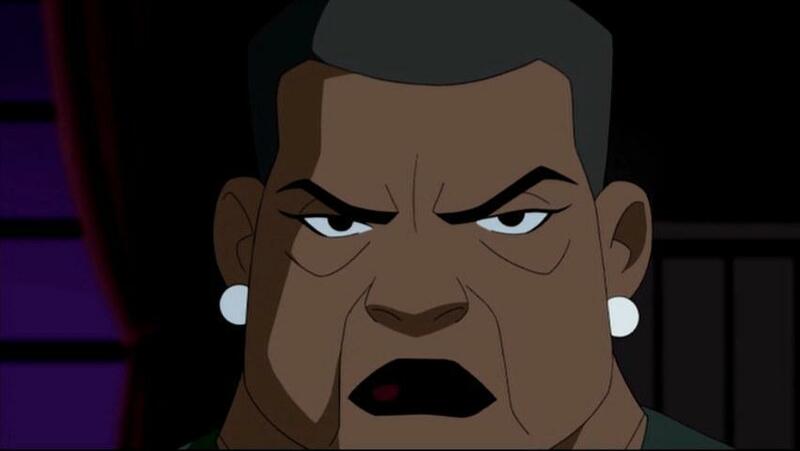 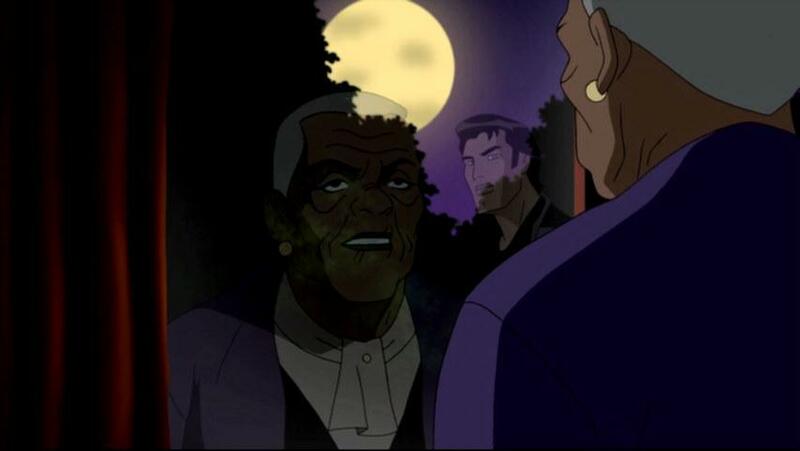 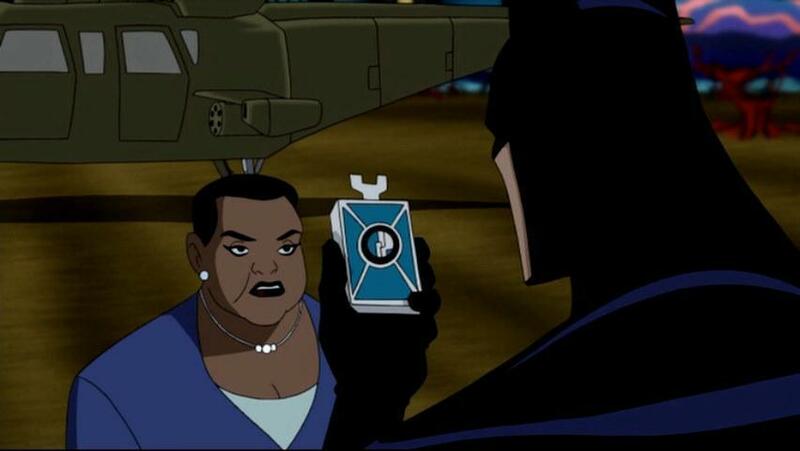 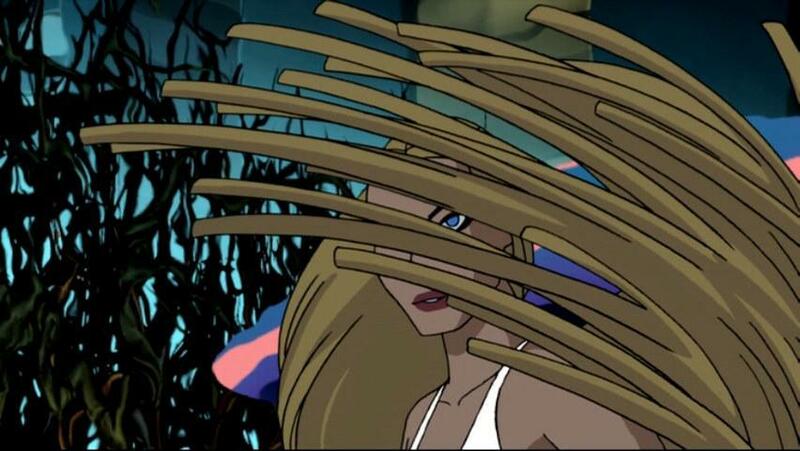 My favorite moments are easily during the future JLU fight with the Inequity Collective and the ending moments as Terry flies over Gotham. 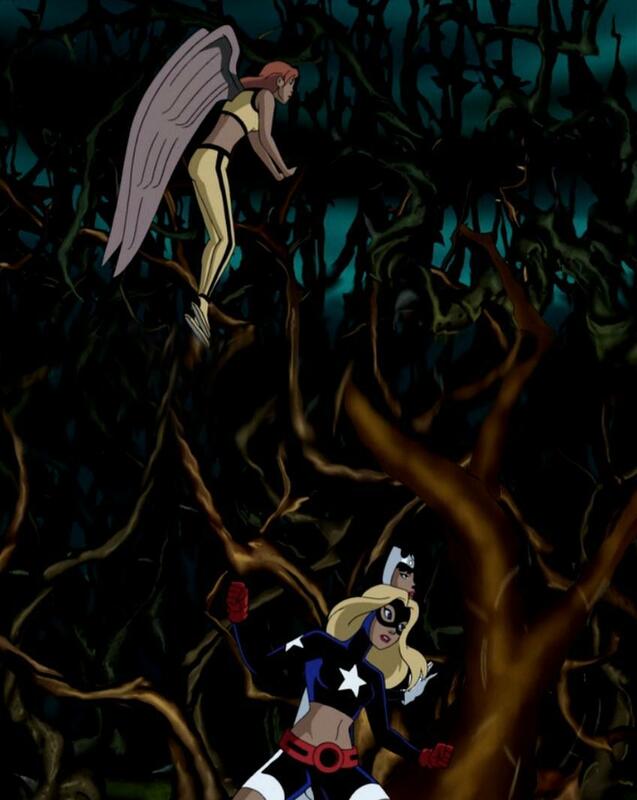 Both left me cheerfully delighted and desperately wanting more! 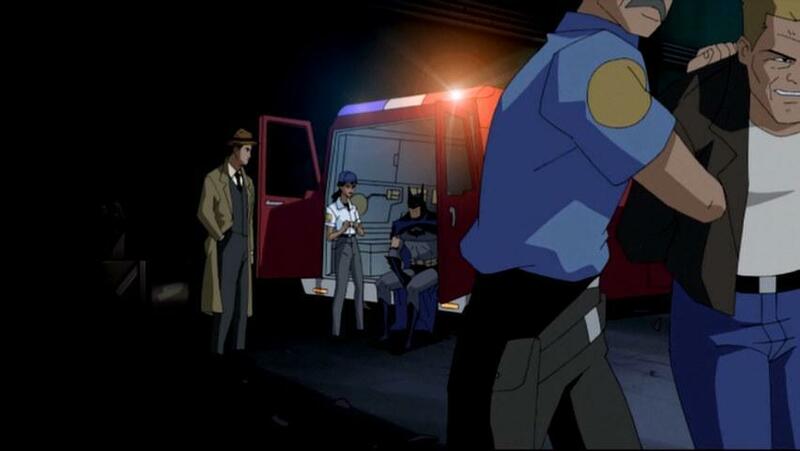 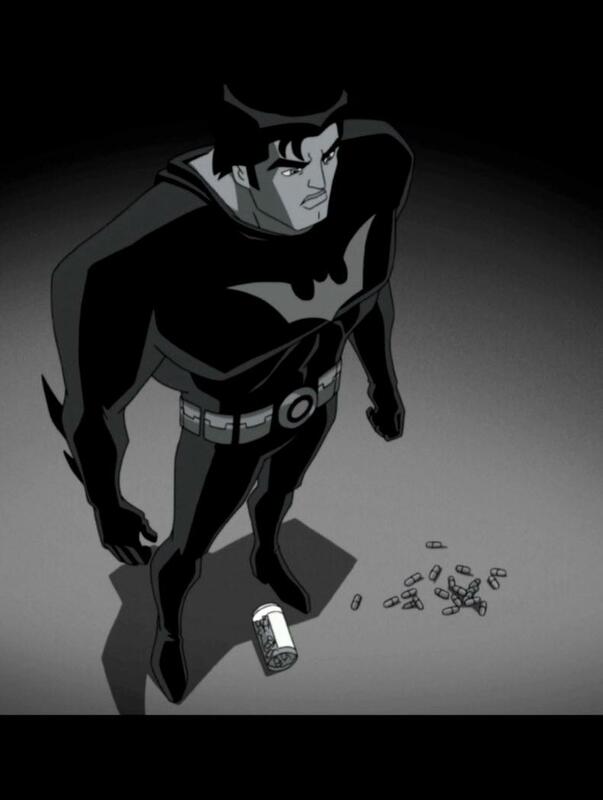 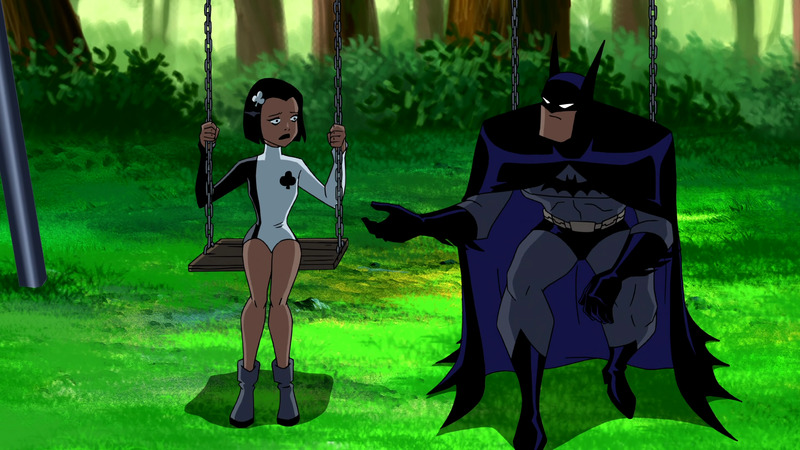 Other little pieces, such as the heartbreaking score with Batman and Ace and the uplifting, almost heroic melody during Terry’s and Waller’s simultaneous monologues, were equally amazing and beautiful and helped carry the emotional weight of the episode – as good music should – without being obtrusive. 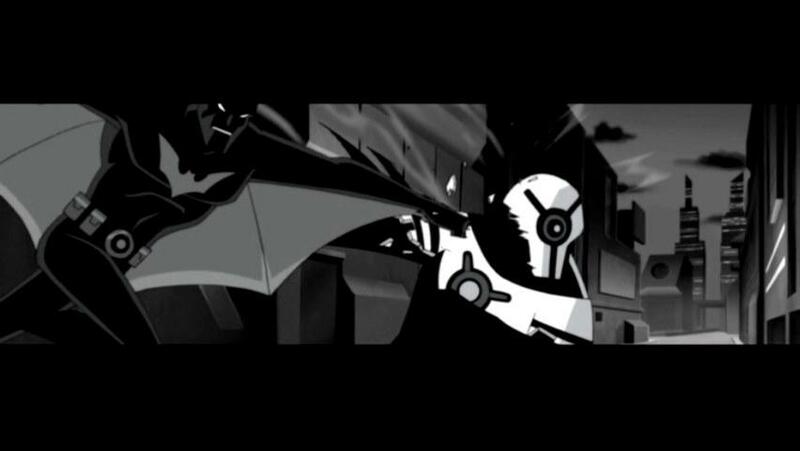 Along with all of this, we are graced with some utterly phenomenal animation, both in terms of fantastic fight sequences and little flourishes throughout. 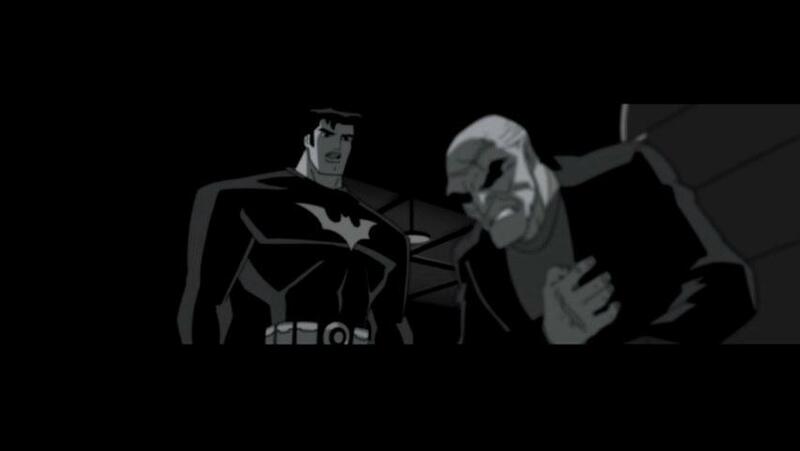 Characters for the most part are very much on-model and consistent. 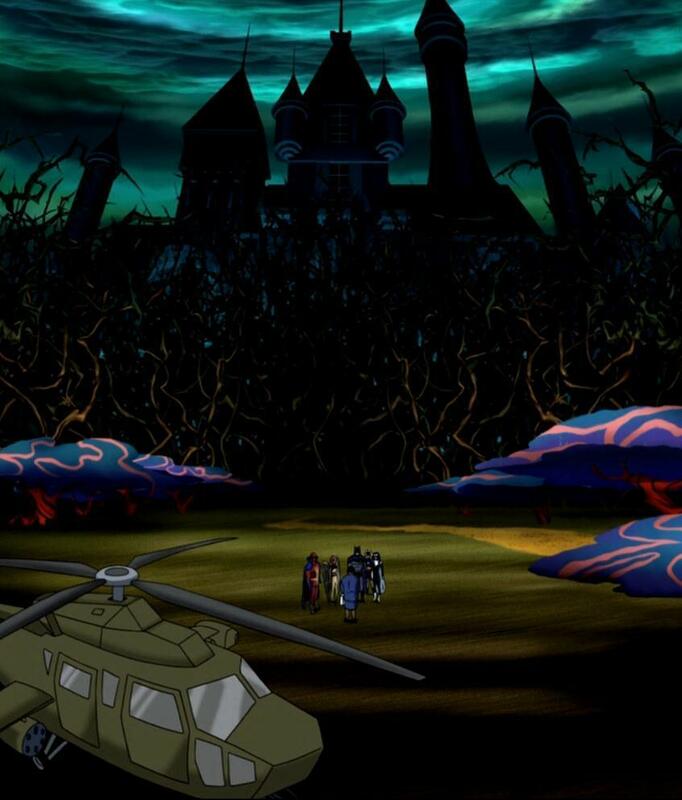 As a whole the episode was just breathtaking to look at. 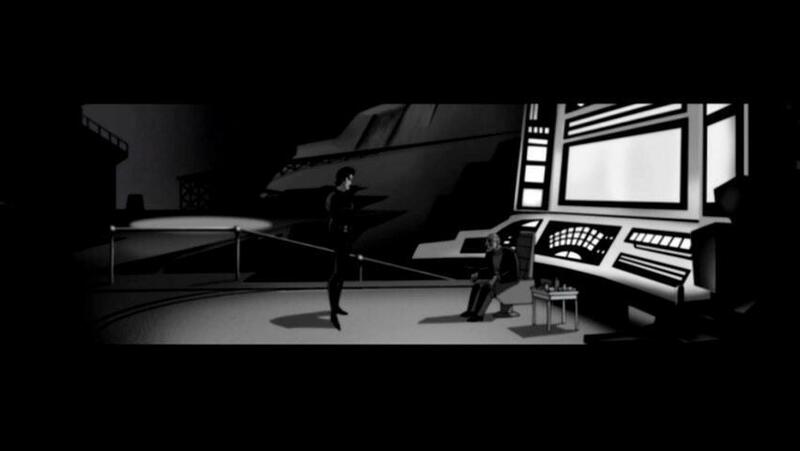 The added touch of black-and-white scenes and fast paced cutting may at first seem jarring, but really added to the intensity of the story. 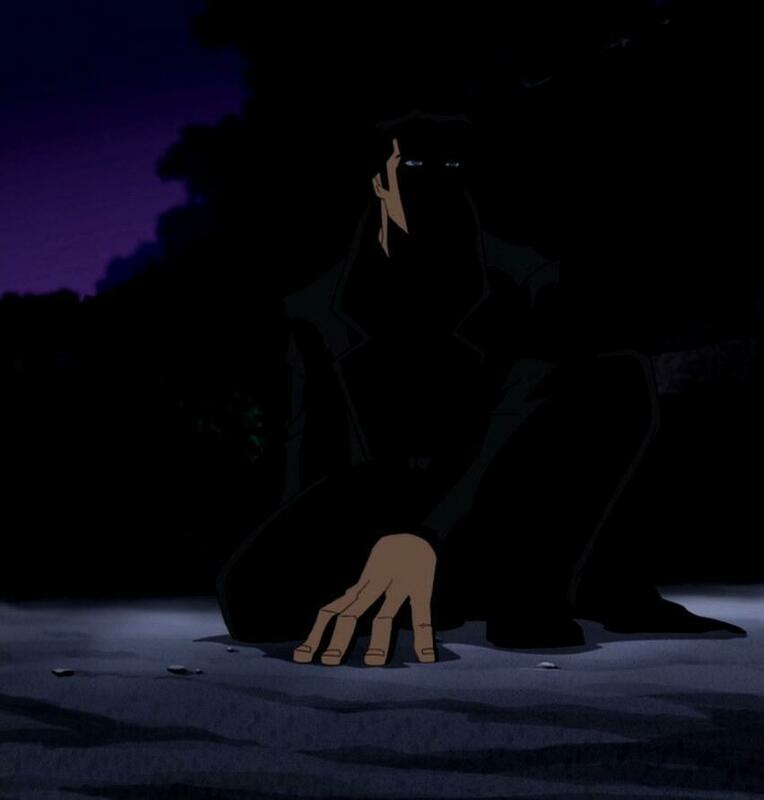 It’s very reminiscent of Lost, where flashbacks and present day events shift very suddenly, thrusting you into the connecting events without giving you a moment to take a breath in between. 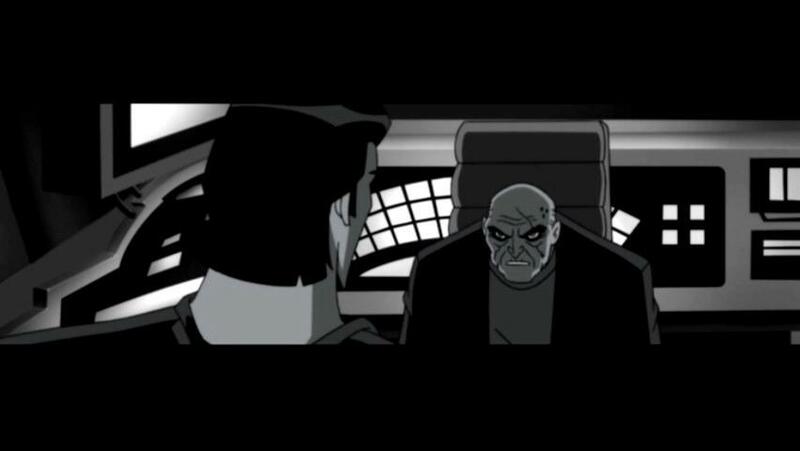 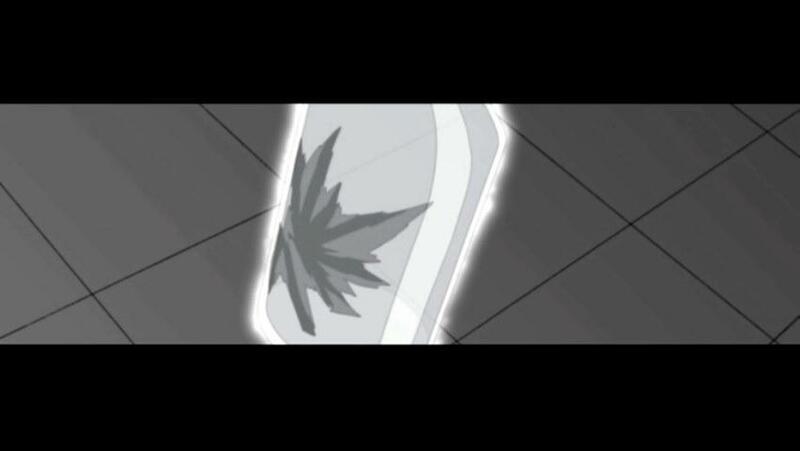 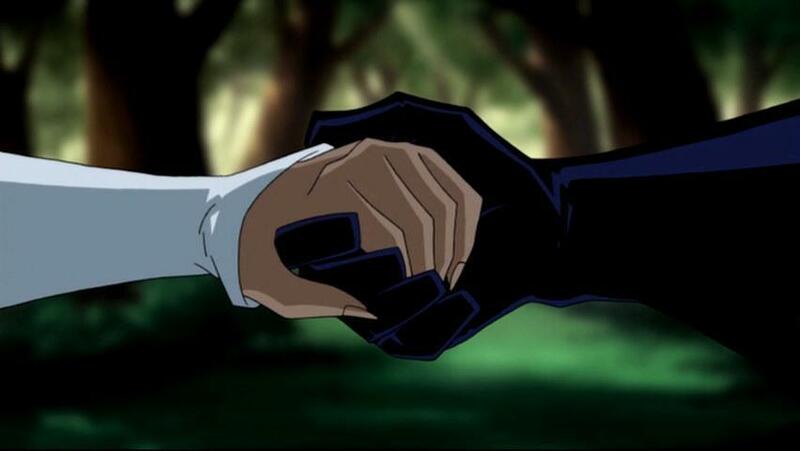 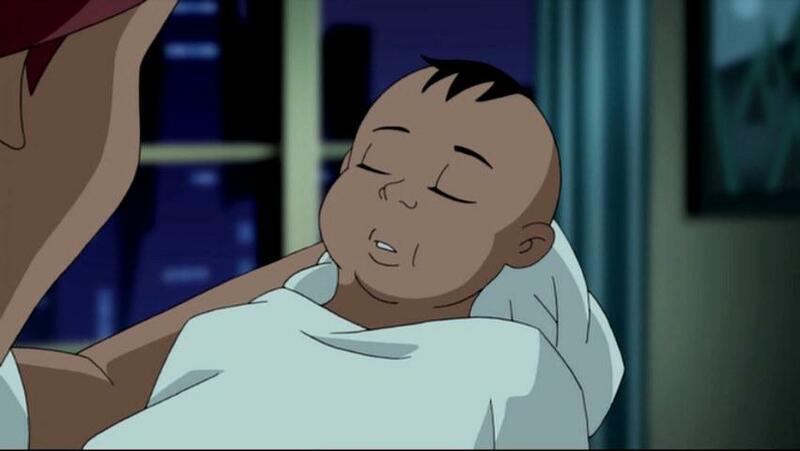 Given the far less frantic feel of this episode in comparison to the majority of JLU, it actually makes a lot of sense. 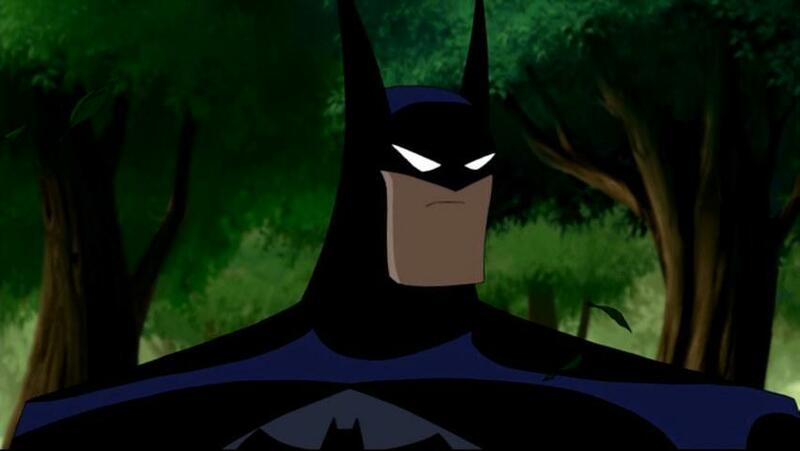 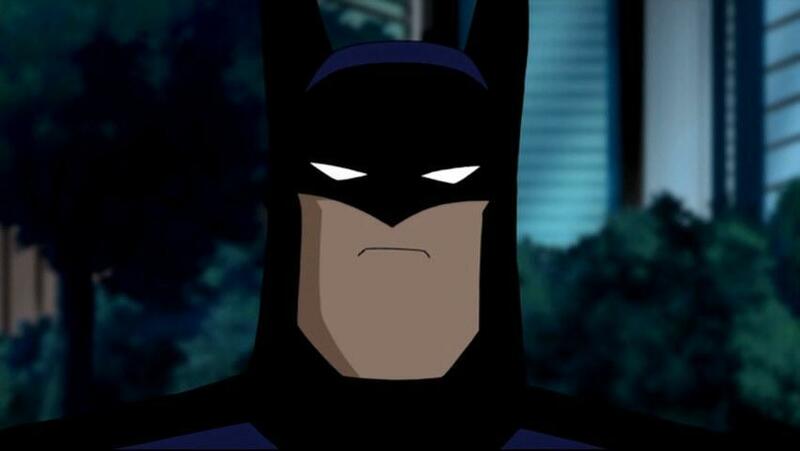 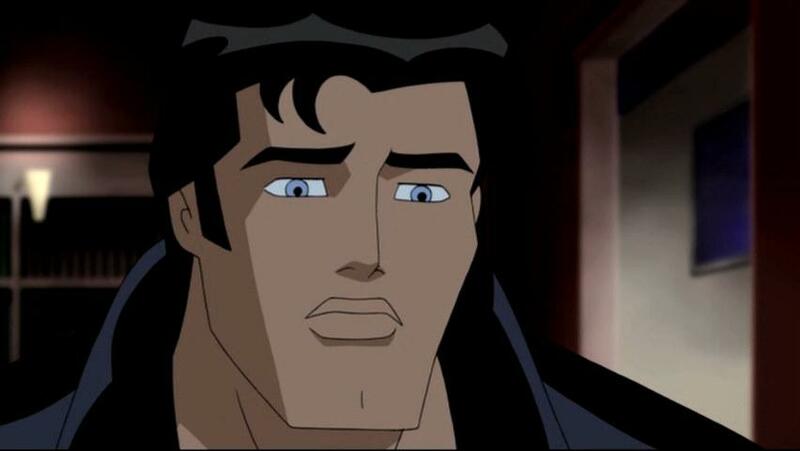 Some will find it odd that this proposed finale revolves more around Batman than the JLU itself, and those people can rejoice in the fact that there is more JLU to come with a third season on the horizon. 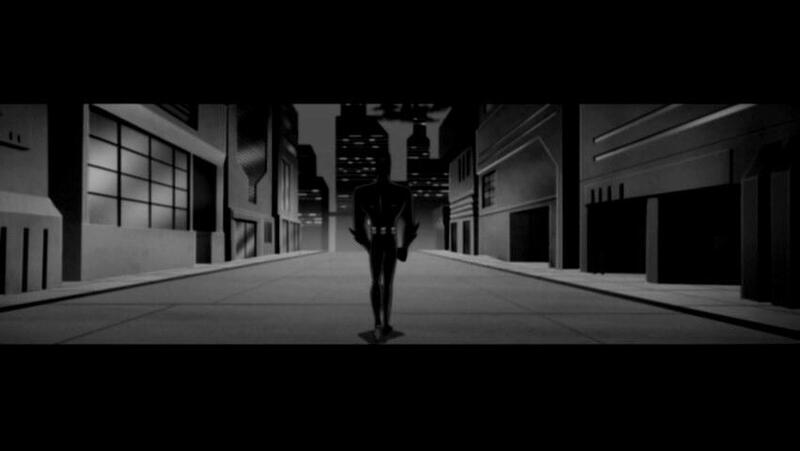 Personally, I find it only fitting that this would be the ending that was chosen and I am both incredibly thankful and in awe.